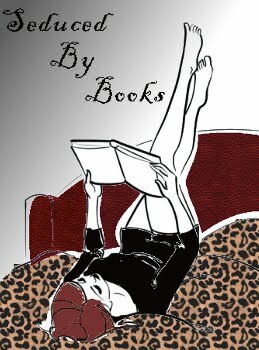 Sweet and innocent with a twist of girl-next-door, Cadence Jones is not your typical girl and certainly not your typical FBI agent. Just ask her sisters, Shiro and Adrienne. (Wait. . .best if you don’t ask Adrienne anything.) But it’s her special “talent” which makes Cadence so valuable to the FBI and it never comes in more handy than when she and her partner, George, get tagged to bring down the Threefer Killer. A serial killer who inexplicably likes to kill in threes, leave behind inexplicable newspaper clippings, and not one shred of decent forensic evidence, soon starts leaving messages that seem to be just for Cadence and her sisters. Could it be that this killer knows all about Cadence’s special “talent”? In the meantime, love blooms in the most unexpected place when Cadence meets her best friend’s gorgeous brother who is in town visiting—and she discovers that he knows her secret too! When attraction burns hot between them her best friend isn’t thrilled with the romantic development and this time Cadence just might agree! Suddenly Cadence finds her unbalanced life turned even more upside down as she tries to date a baker who wants to get in her heart and in her bed, dodge a pesky psychiatrist, keep a leash on her sociopath partner, while trying to catch a serial killer who’s now fixated on her. Some days it’s not even worth getting up in the morning. 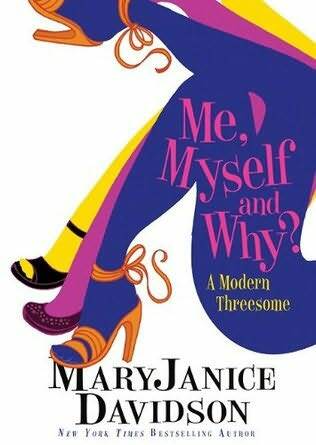 . .
My, Myself and Why is the first in a new trilogy by MaryJanice Davidson. I was excited to read it, but also a bit worried. Since I’m so used to reading Davidson’s Undead series, and this is so different, I was afraid I wouldn’t be able to get into it. I was wrong! The book took me a few chapters to get sucked in, but I’m definitely glad I kept reading! Cadence Jones is a member of BOFFO, which is a division of the FBI made up of people with all sorts of psychological disorders – like multiple personalities, sociopaths, kleptomaniacs, and many others. She, along with her “sisters” (Shiro and Adrienne) and her partner George – literally a sociopath – are on the case of the ThreeFer Killer. As twisted as George is, you can’t help but laugh at some of his outbursts. With Cadence, at first I wasn’t sure if I liked the transitions between her and her “sisters” as they seemed a bit abrupt. Then, the more I read I realized it made complete sense how they were done; especially how the transitions were often a chapter change. I think it helps you sort of get an idea of how Cadence must feel when one of them makes an appearance. I was also intrigued by the cast of characters that work with Cadence at BOFFO. I found it interesting to see how all these people with such an array of mental problems work together as a unit. One of the most unique ones (so far) is the member of the team that is agoraphobic. When an agoraphobic character was mentioned, I wondered how someone with that problem would be able to work with an FBI team. I thought Davidson was quite clever in how she had them be a valuable asset! Then again, she usually is clever like that! Cadence’s love interest is also entertaining. It’s funny how much he likes Cadence’s extreme uniqueness! I can’t wait to see how the relationship develops and where the rest of the trilogy takes us!